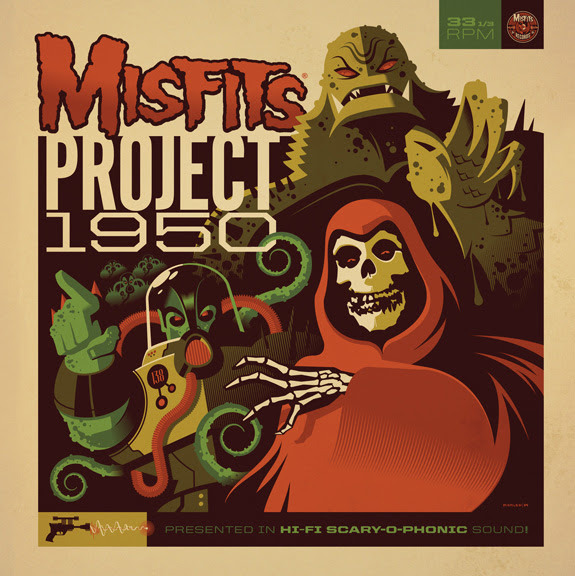 MISFITS “PROJECT 1950” EXPANDED EDITION IN STORES OCT 27TH! 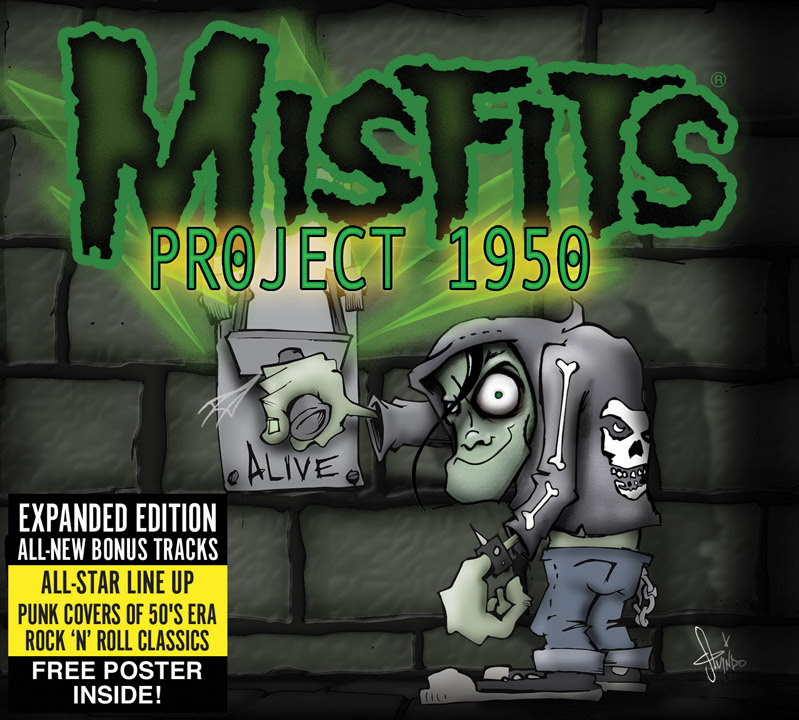 Notably the highest charting release in the band’s entire legacy, “Project 1950” is presented in an all-new expanded edition featuring three never-before released bonus tracks with Misfits drummer Eric “Chupacabra” Arce rounding out the lineup. All three songs have an underlying horror-centric common thread, and are newly recorded exclusively for this release! CD in stores October 27th with all-new bonus tracks, newly expanded packaging art by Tony Squindo (Metallica), free poster, and extensive liner notes. Look for the vinyl LP edition coming in November pressed on 180-gram Ltd Ed vinyl with exclusive variant cover art by Tom Whalen (Mondo), retro-style jacket, plus first pressing on fluorescent yellow colored vinyl—while supplies last. …AND RECEIVE A FREE MISFITS RECORDS BUTTON & PATCH SET WITH YOUR ORDER! This entry was posted on October 4, 2014 at 4:49 pm and is filed under Music, music news, punk, Punk rock, rock music, rock music news with tags horror punk, metal odyssey, Misfits, Punk rock, rock music news, the misfits. You can follow any responses to this entry through the RSS 2.0 feed. You can leave a response, or trackback from your own site.